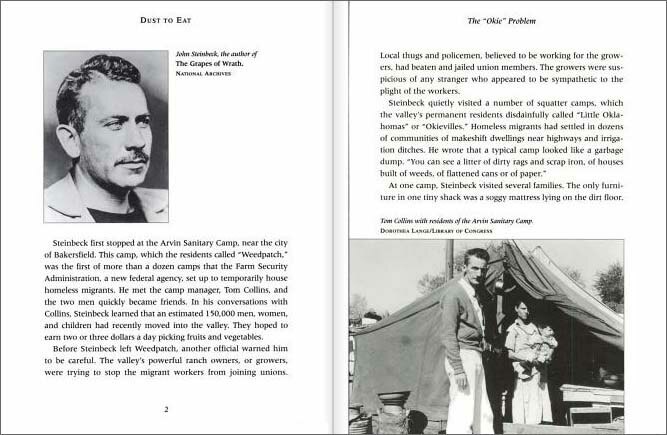 Dust to Eat puts a human face on the tragedy of the great depression and dust bowl by pulling together letters and eloquent eyewitness reports of people who lived through it (including those who fled to California), plus works by John Steinbeck and Woody Guthrie. And, of course, no good book about the great depression and dust bowl would be complete without a multitude of stunning, moving Dorothea Lange pictures gracing the pages (along with many other archival black and white images). 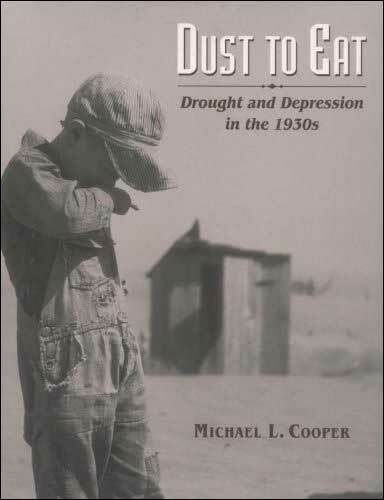 Booklist called this book "an excellent historical account" and SLJ said "despite its descriptions of dust and drought, this book is anything but dry...." This is a great resource for planning lessons about the dust bowl or to give directly to older kids. We've skimmed this book but not read it. We don't actually use this book in our own classrooms because we teach younger children, but several teachers wrote in to recommend it, so we thought we'd include it anyway. 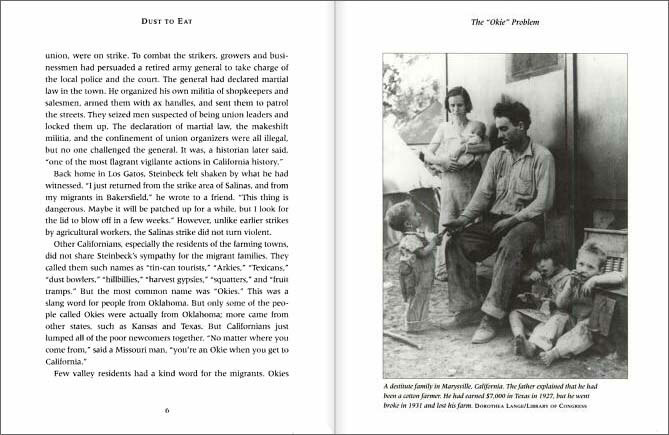 From what we've seen and heard from teachers of older grades, this book covers both the great depression and dust bowl in an age-appropriate and engaging way. Below are sample spreads. This book skews a little bit older than we usually include on our site. As you can see, it's clearly not a book for little kids!